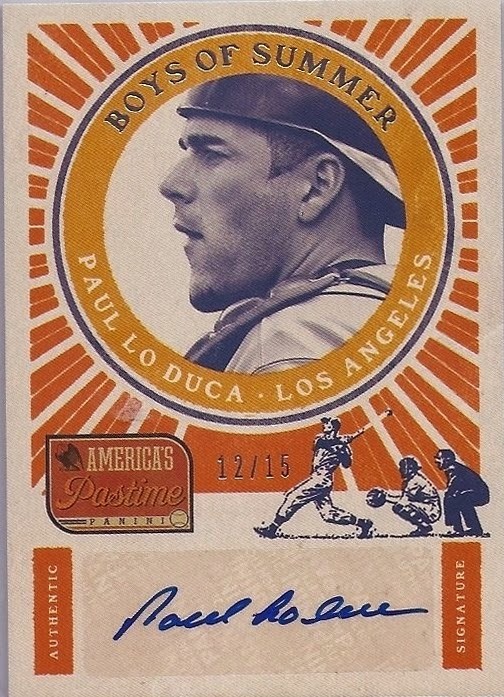 Can you just imagine it - the scent of freshly cut grass, the ping of a batted ball, and the aura and majesty of the very first bobbleahead of the 2014 season? 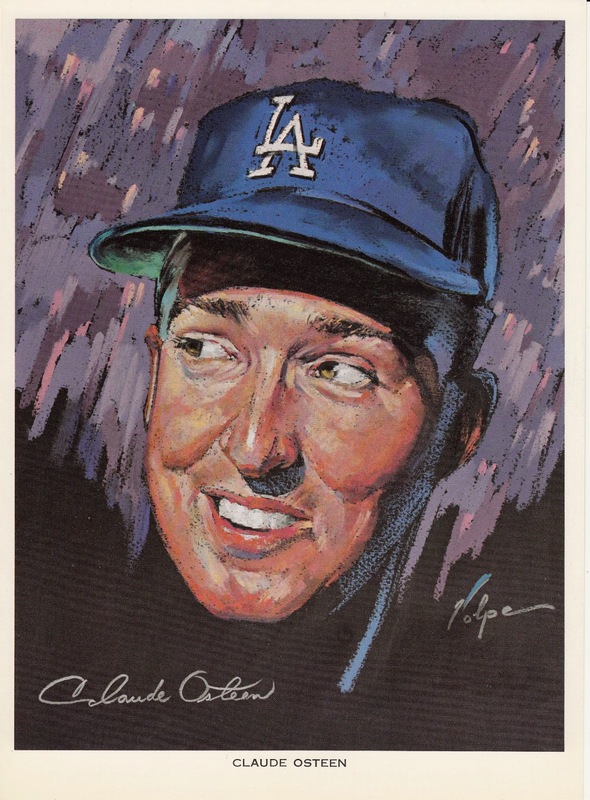 It all screams Dodger Baseball to me, and I can't wait. 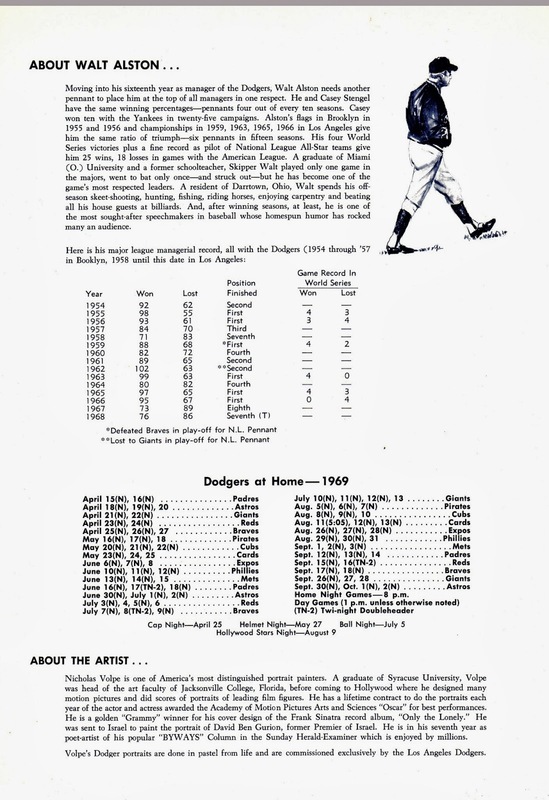 Baseball is coming soon, and the surest sign of this came about this afternoon as I perused the Dodgers 2014 Promotion Schedule. 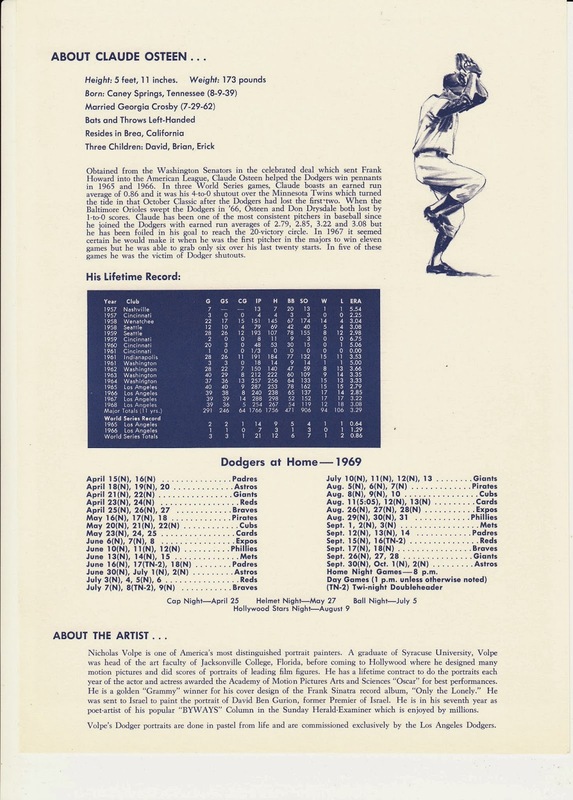 Per a blog post originally by Dodger Penguin (A hat tip to you sir), we find out that the Dodgers have just released a photo of their first bobblehead of the 2014 season. 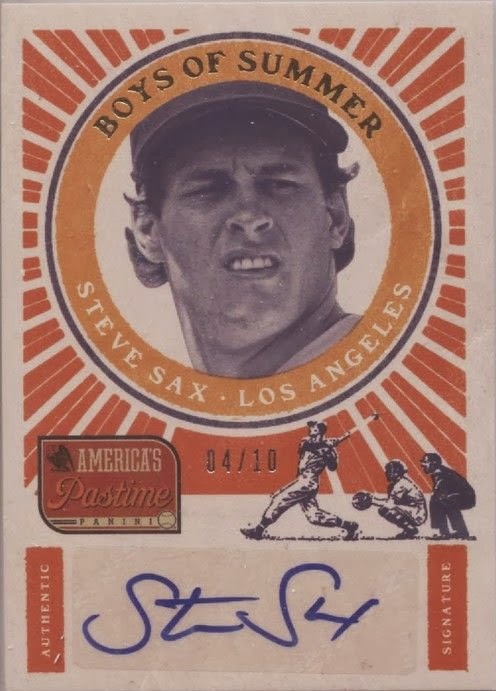 Check it out above. 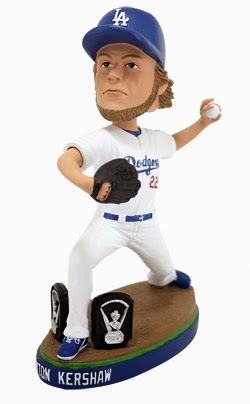 On Thursday, April 24th they will be giving out a "Cy Young" Clayton Kershaw bobblehead, and I must say that, "it looks mighty great!" The Promotional Schedule also shows preview pics of a couple of other stadium give-away's. 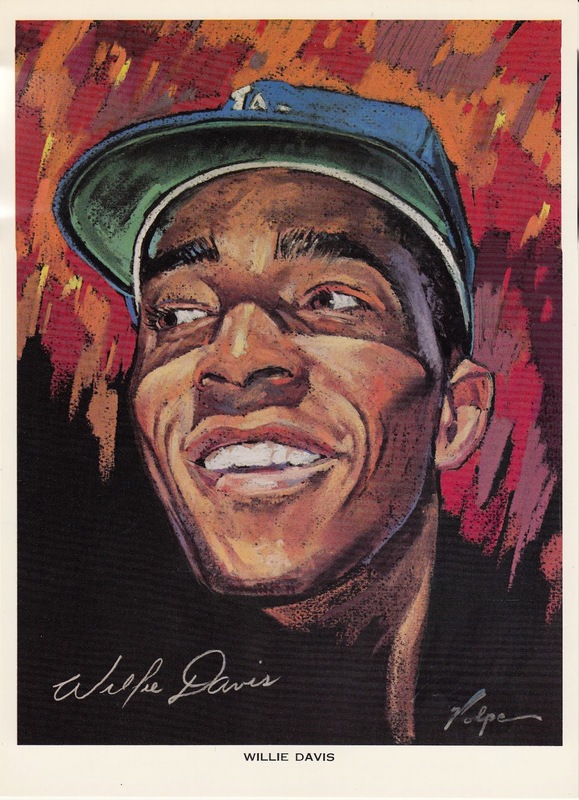 Here is a Yasiel Puig FatHead that will be given out to children on Sunday April 6th. 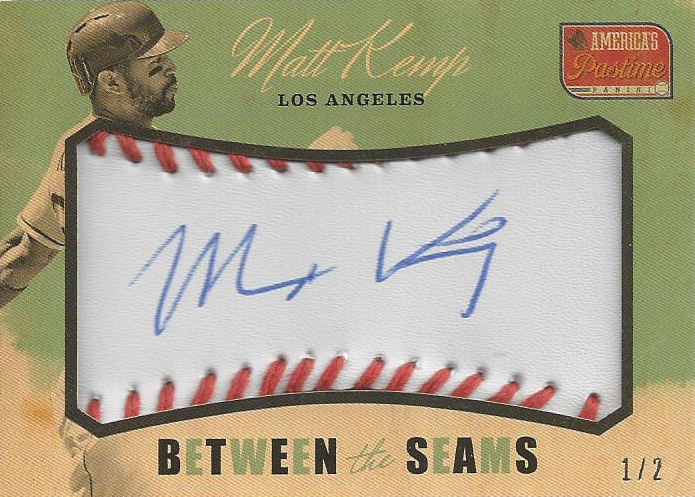 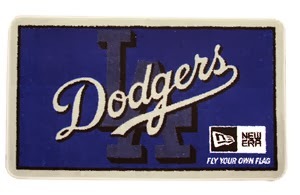 Directly below is a Dodgers Welcome Matt that will be given out on Saturday, April 19th. 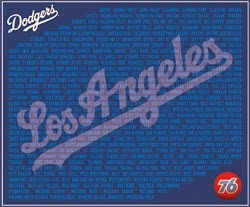 And here is the Dodgers Fleece Blanket being given out on Tuesday, April 22nd. 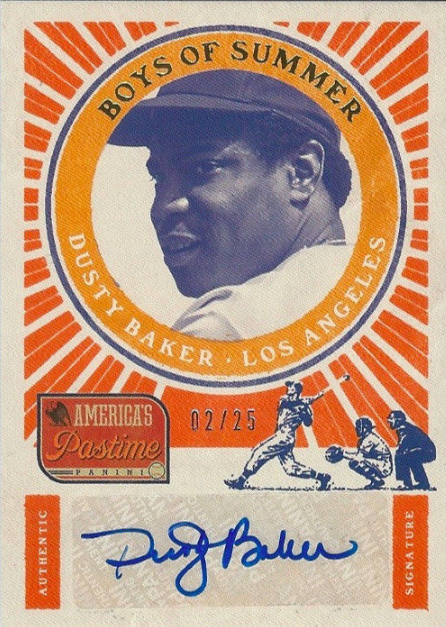 So, do you have your tickets yet? 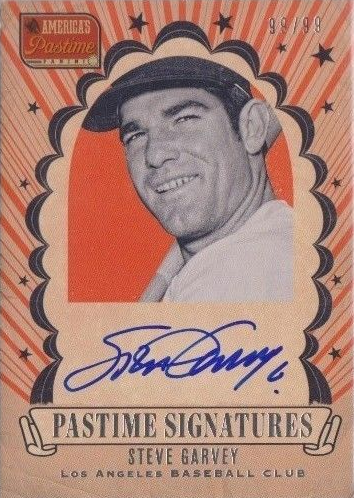 Several weeks ago, I hinted at a recent purchase for my collection that had me very excited. 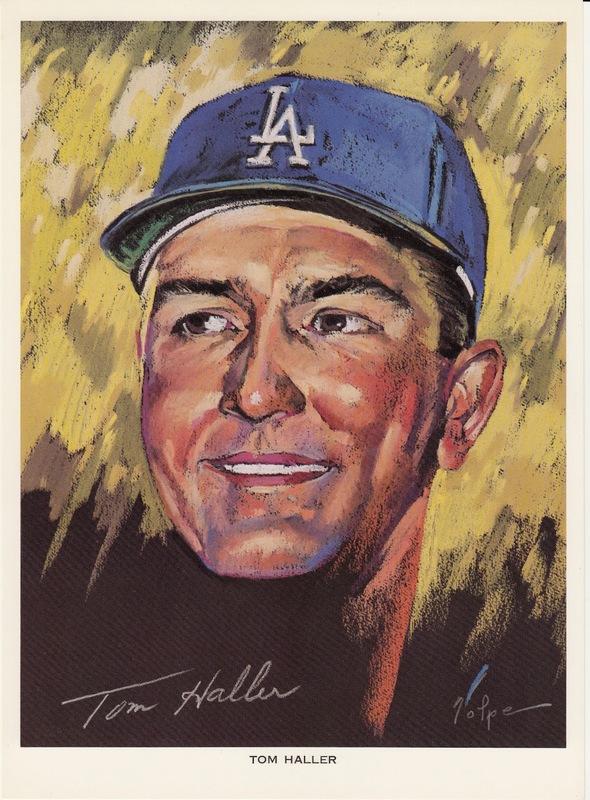 For several years now, I've been on the hunt for complete sets of those Union Oil Dodgers' portraits made in the 1960's. 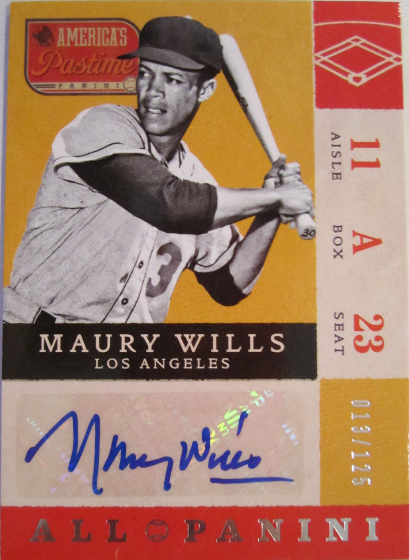 There are three different one's (1962, 1964 & 1969), and they can be difficult to find. 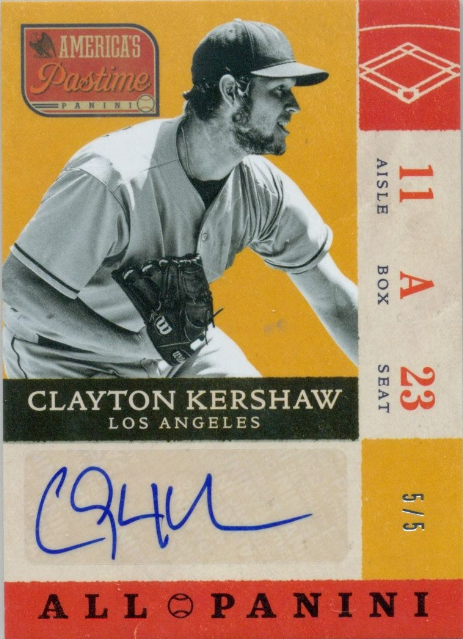 I've missed the mark on numerous occasions, but finally won a set that is both colorful and gorgeous. 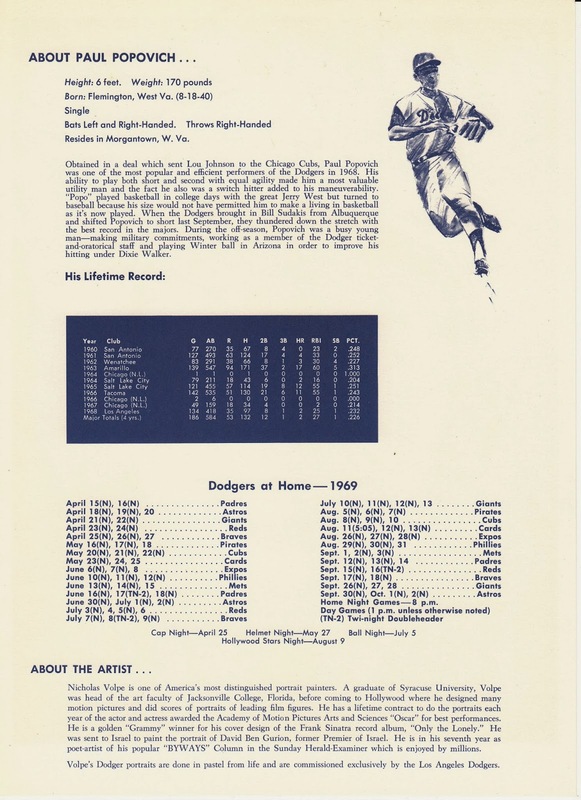 Check out my 1969 Union Dodgers Premium Pictures set featuring drawings by Nicholas Volpe. 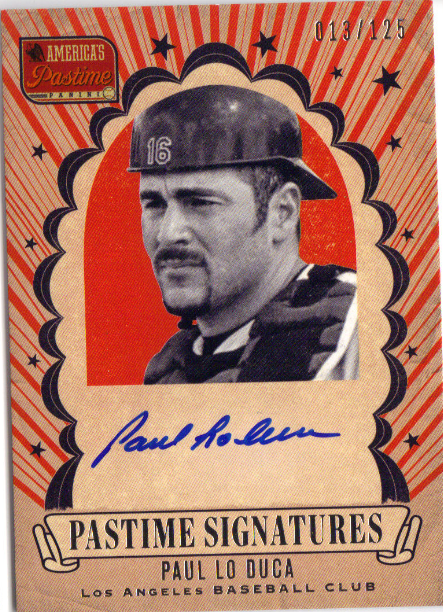 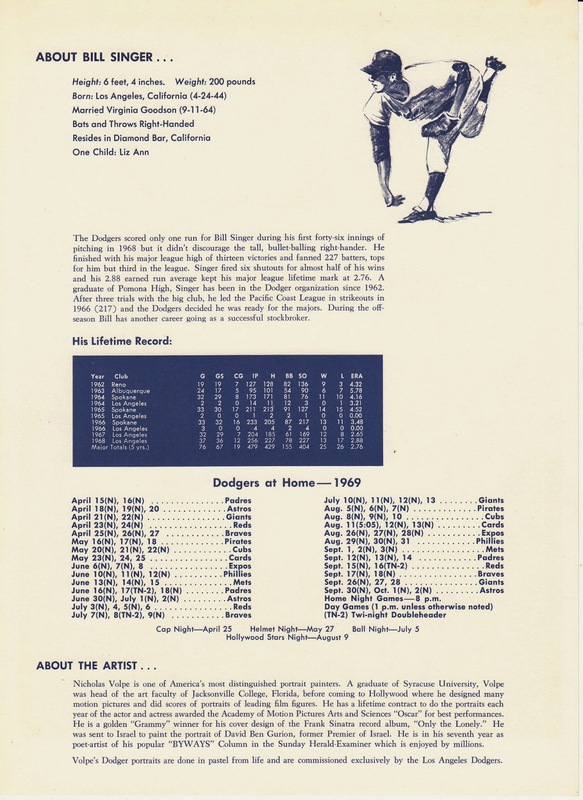 As I'm sure you know, Volpe has a long history with the Dodgers. 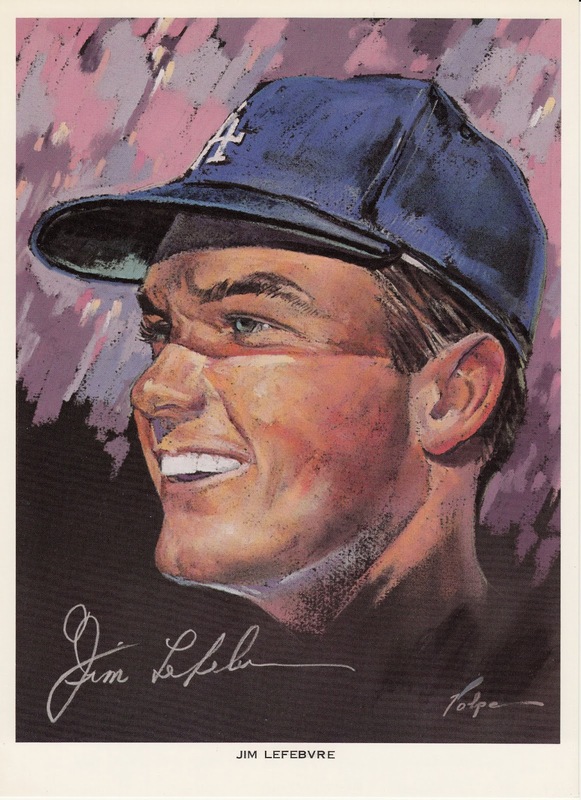 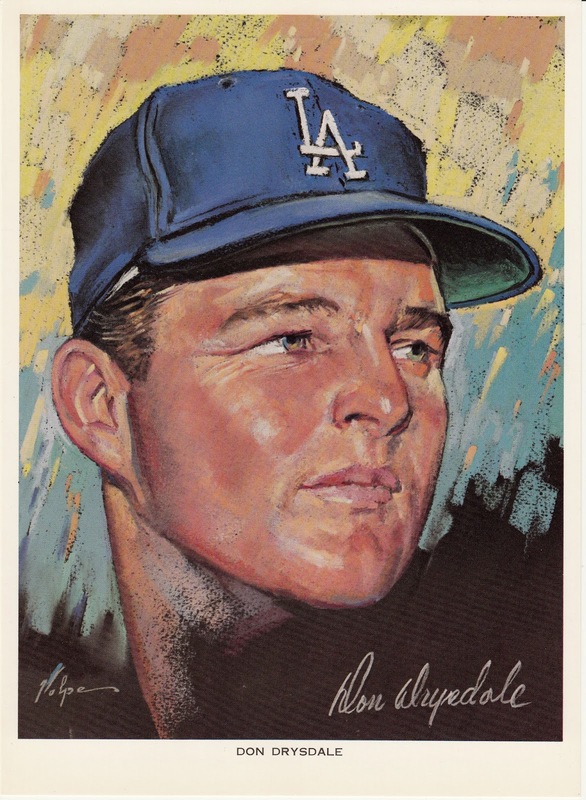 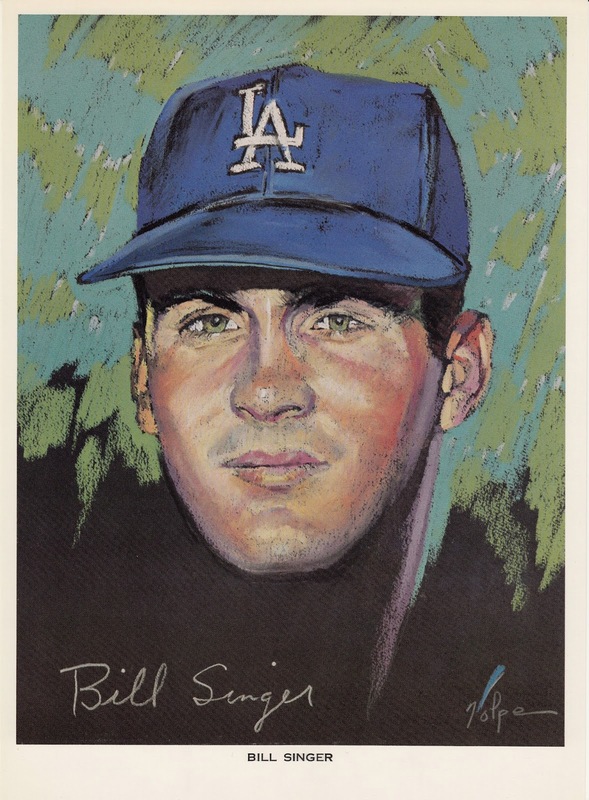 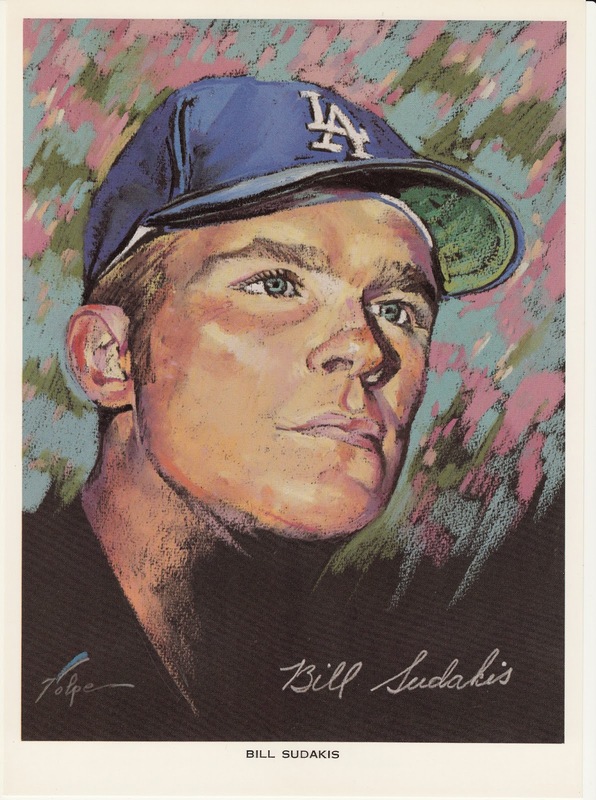 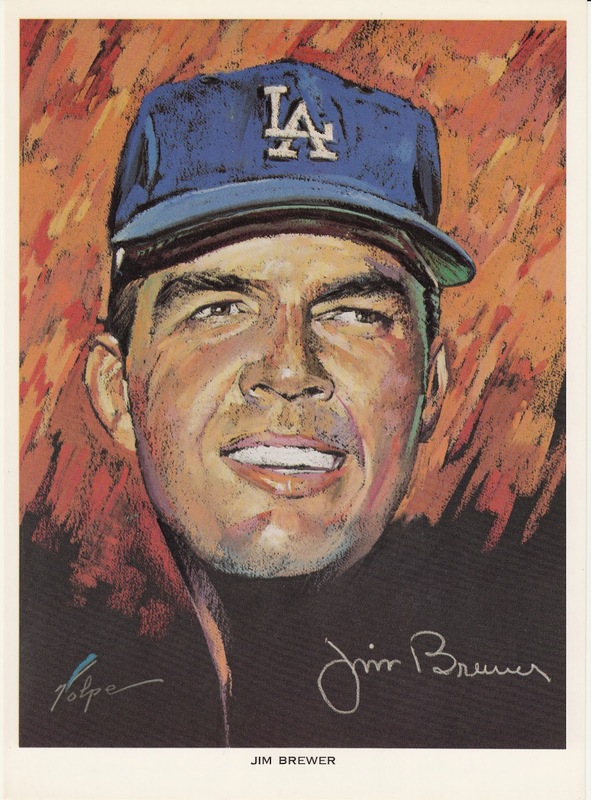 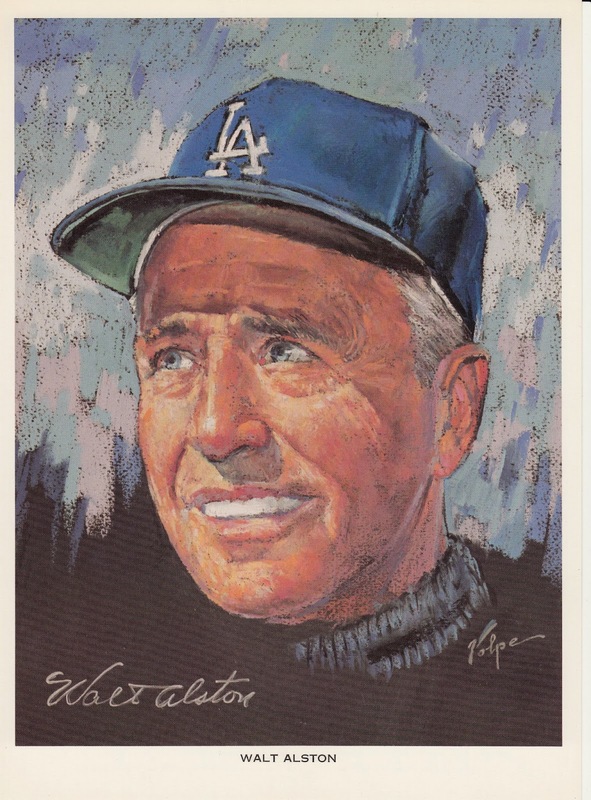 From the early 60's to the early 80's, he created player portraits for the Dodgers that were given away by Union Oil. 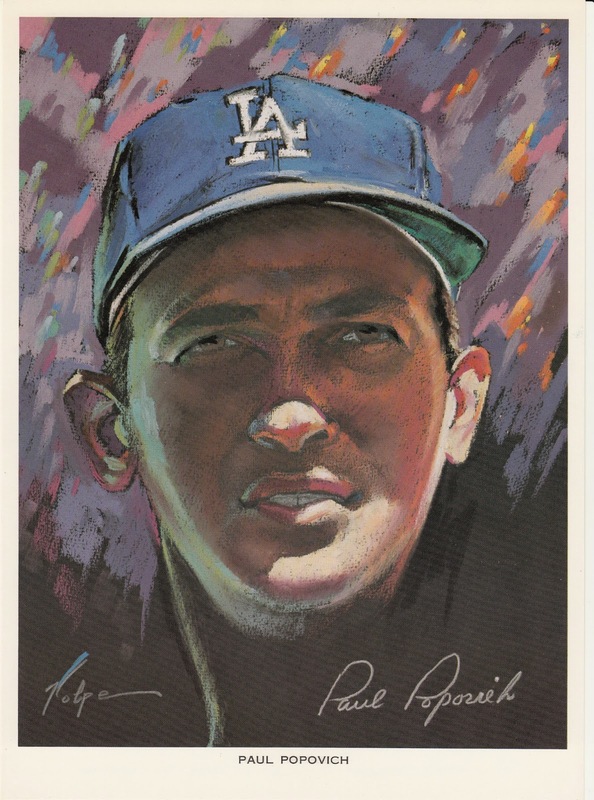 This particular set was given away to fans at select weekday night games at Dodger Stadium. 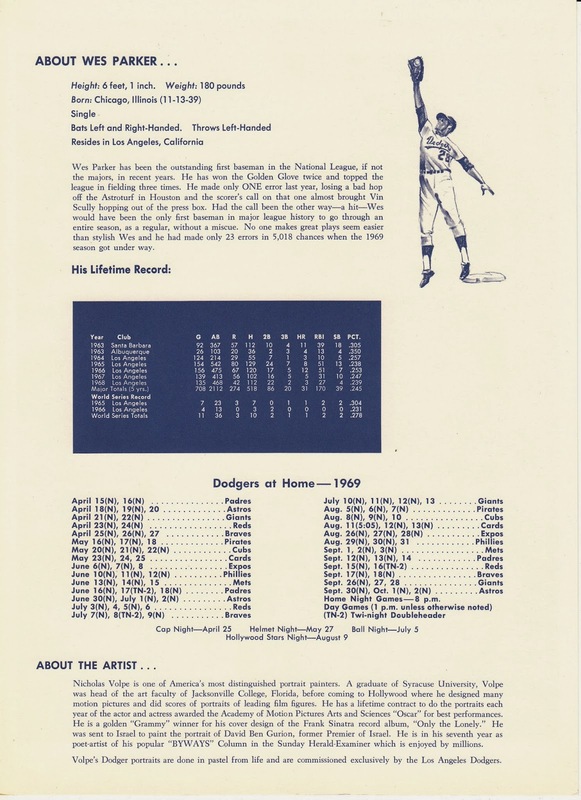 So, this was a very early Stadium Give Away (SGA). 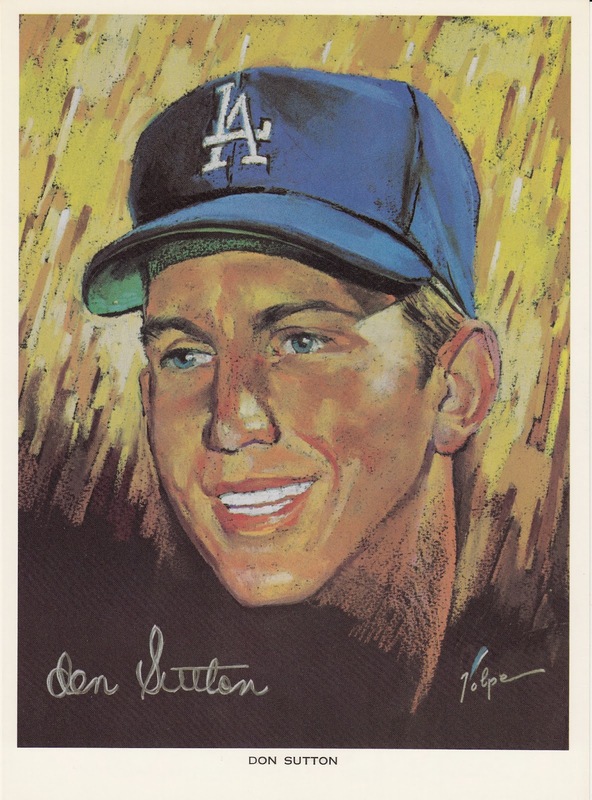 These evenings were billed as "Player Portrait Night". 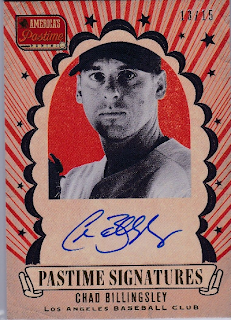 The cards are a little thinner than a Baseball card (but still sturdy) and measure 8 1/2" x 11". 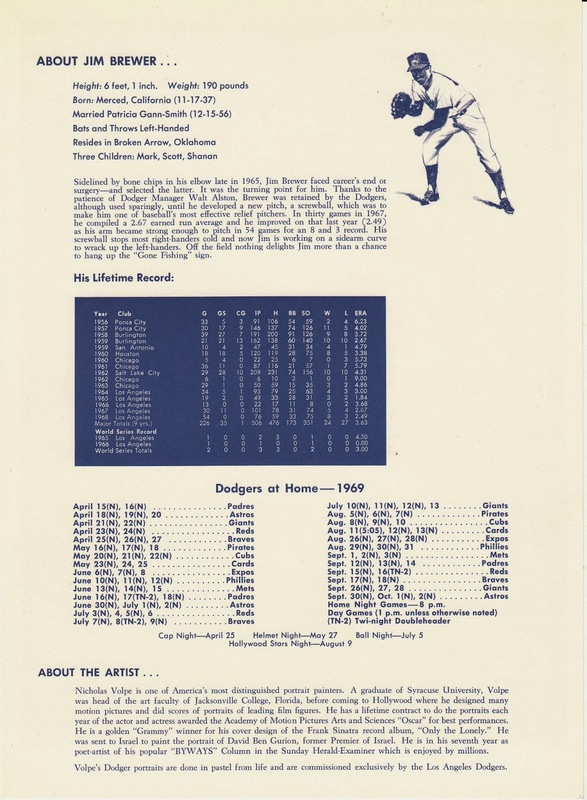 Only 13 pictures are in the set, and it does not include several key players from the season; like Maury Wills, Manny Mota and Ted Sizemore. 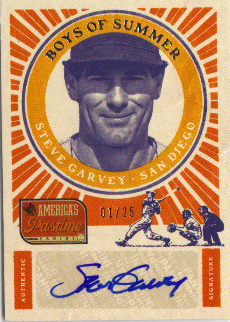 I have scanned the front and reverse of each portrait. 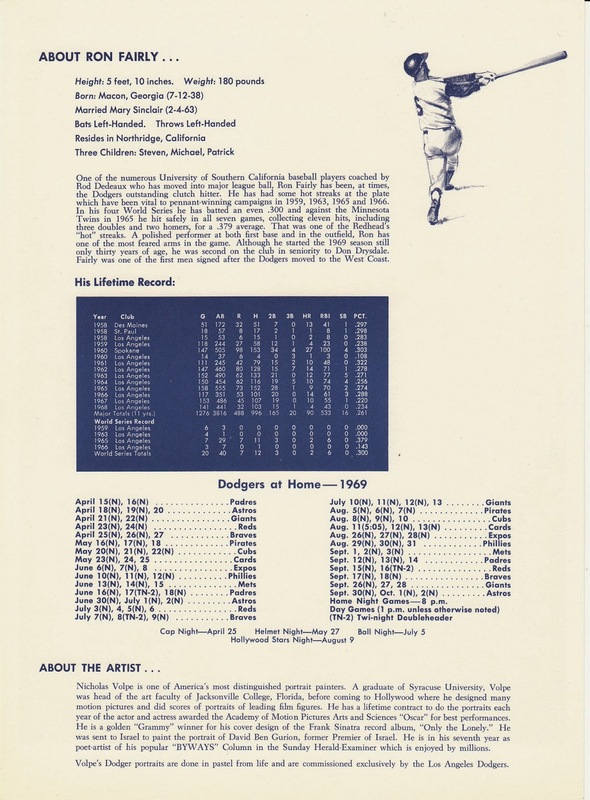 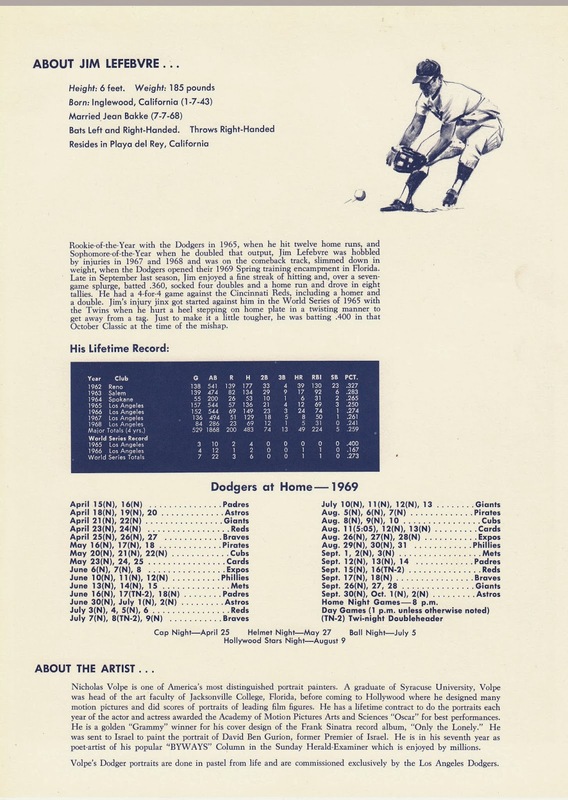 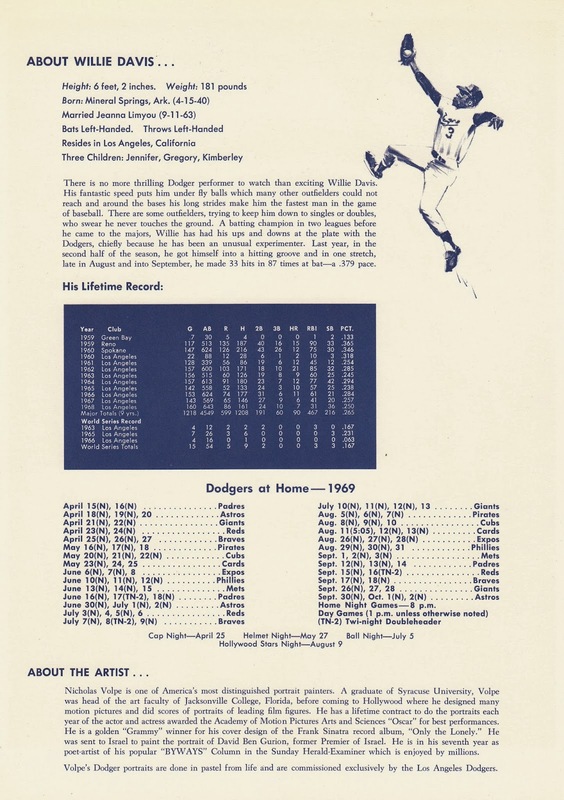 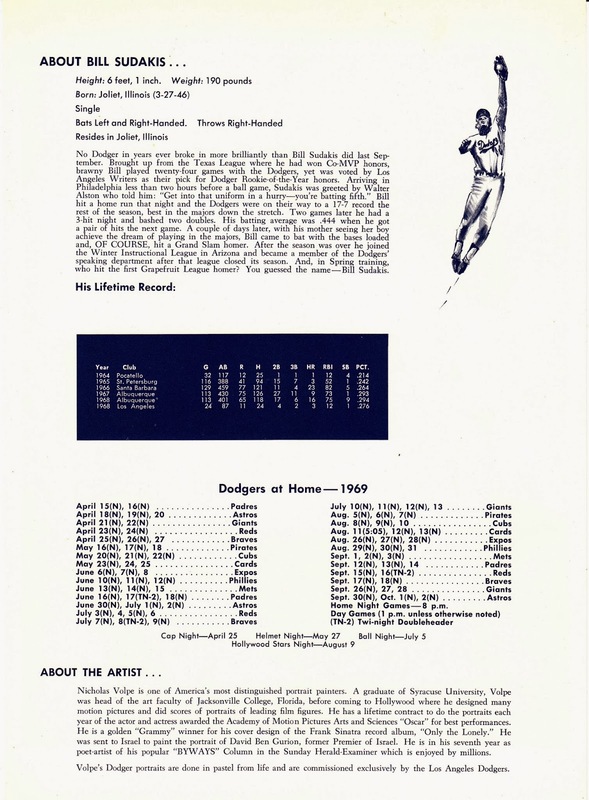 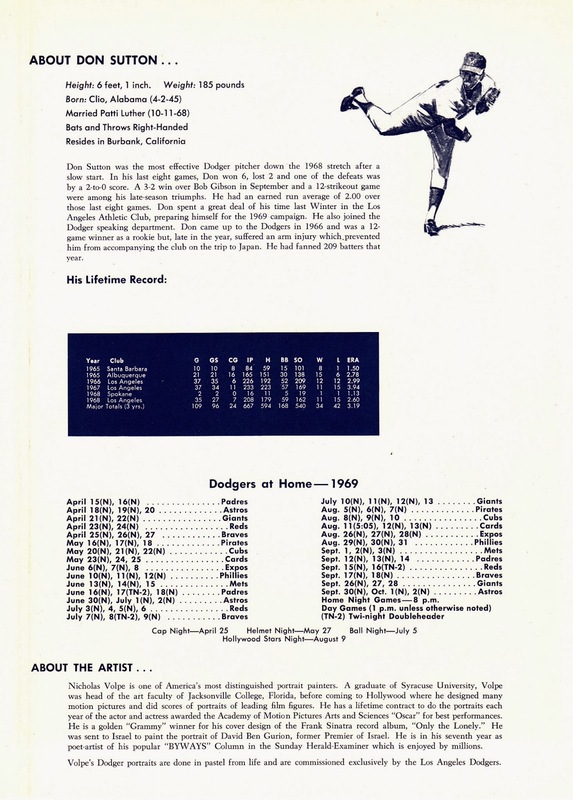 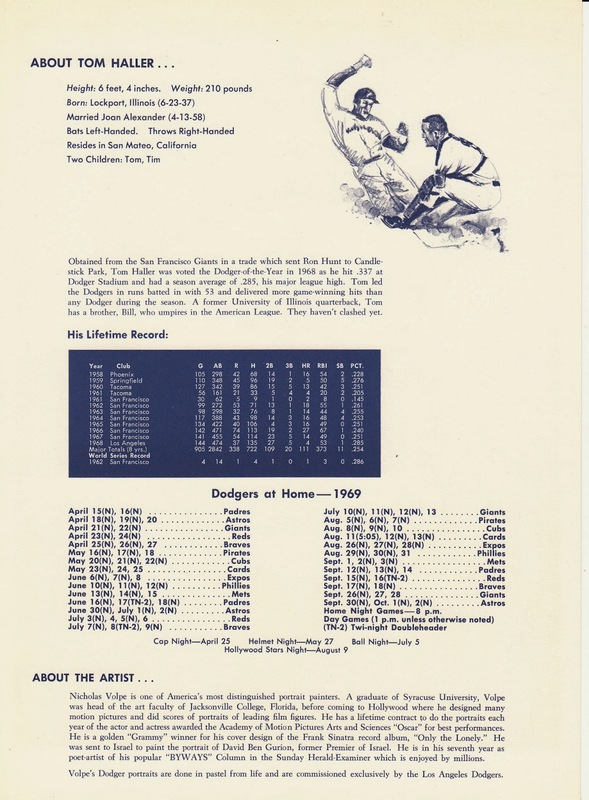 As you can see below, the backs have a player biography, stats, the Dodger home schedule and information about the artist. 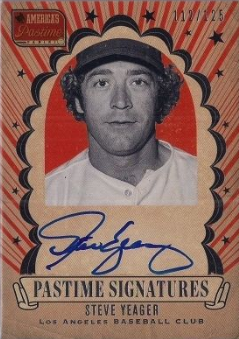 Click on any pic to embiggen. 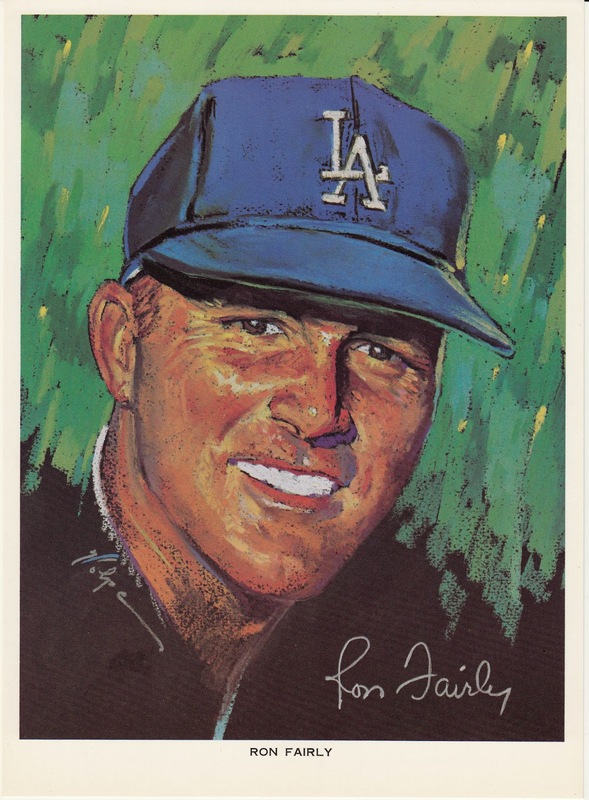 Below are the remaining 12 Dodgers' portrait photos in the set. 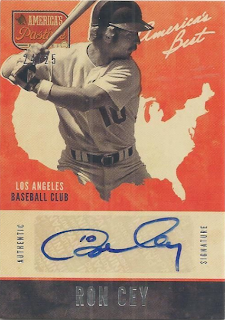 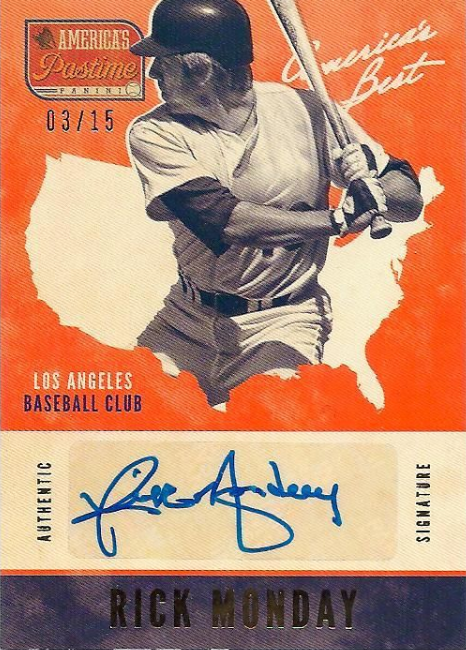 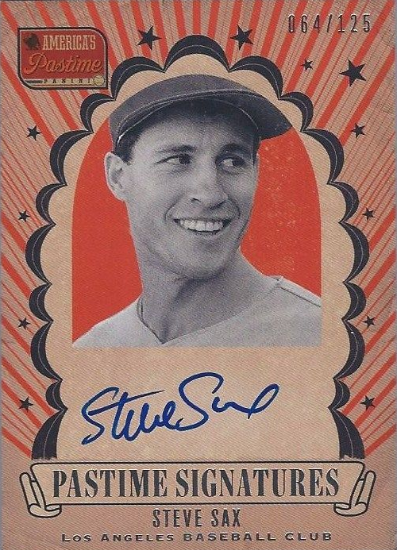 Here is my final post featuring Dodgers' cards that can be found within packs of Panini's 2013 America's Pastime Baseball card set. 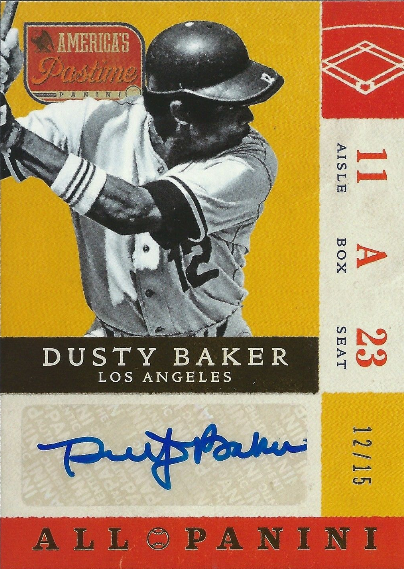 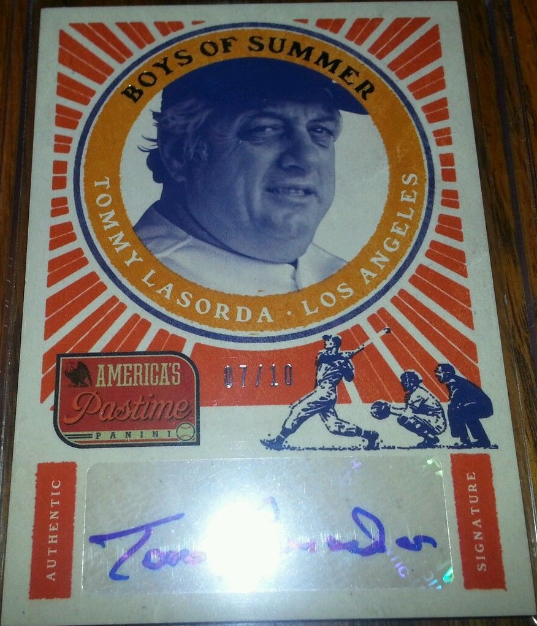 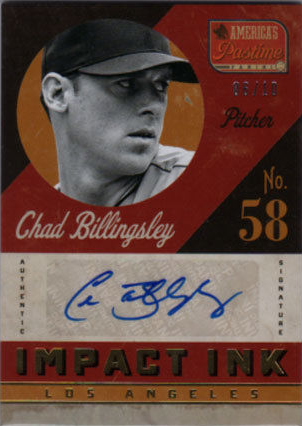 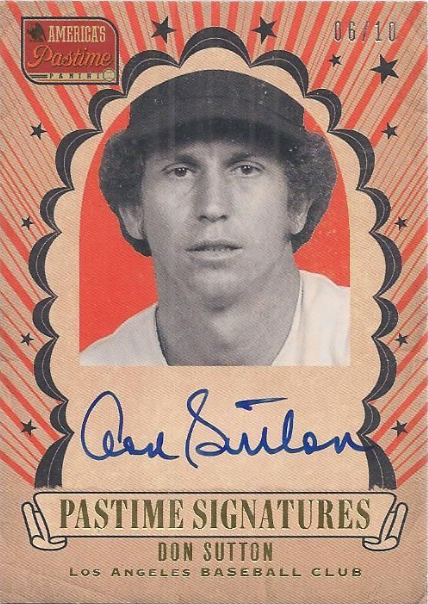 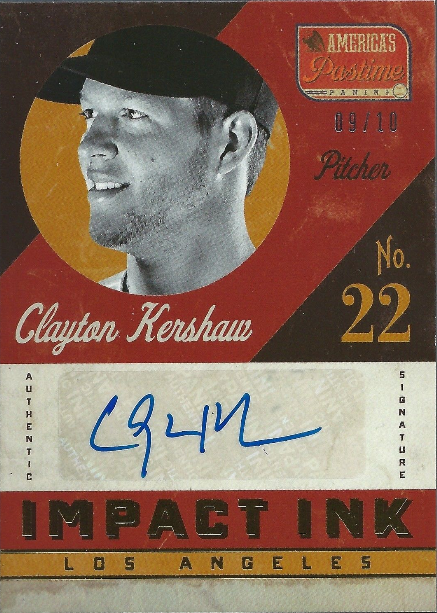 Below, I show the Dodgers' autographed cards. 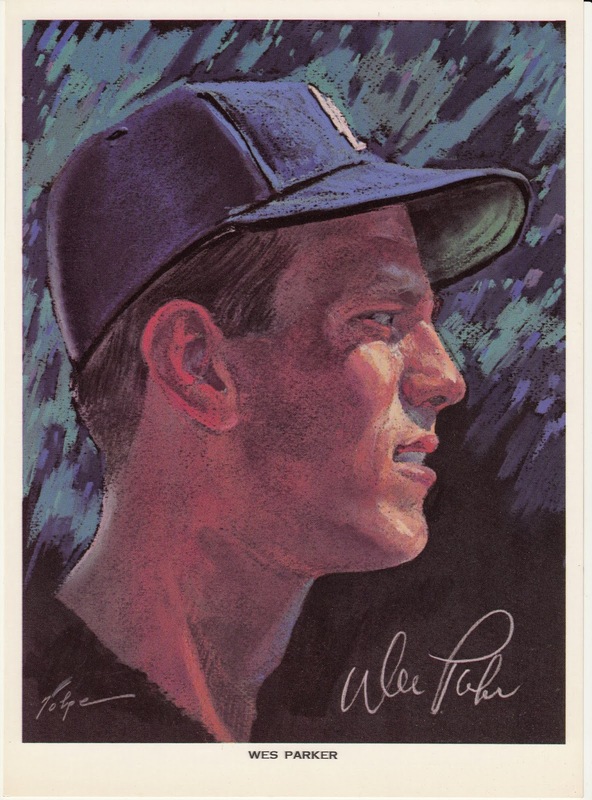 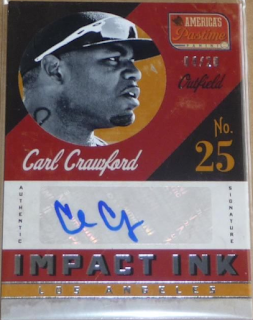 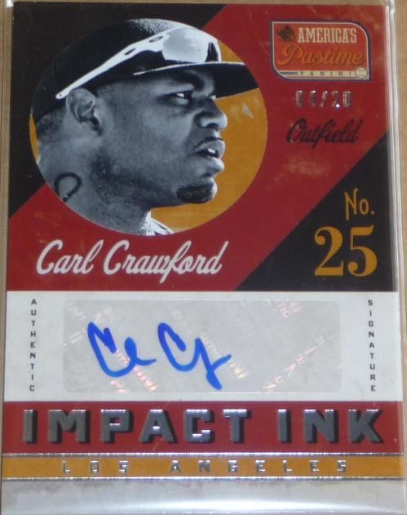 Please keep in mind that there is a Pastime Signature Cuts card of Leo Durocher (a 1 of 1 card), but it has yet to be found. 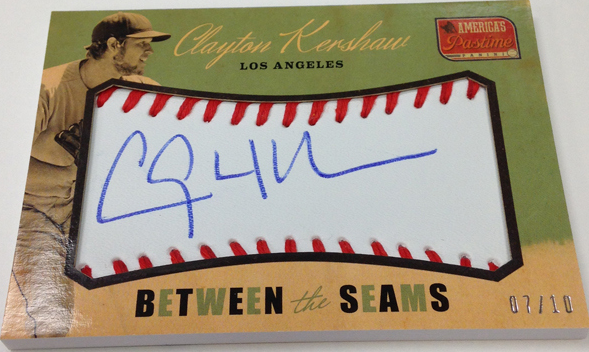 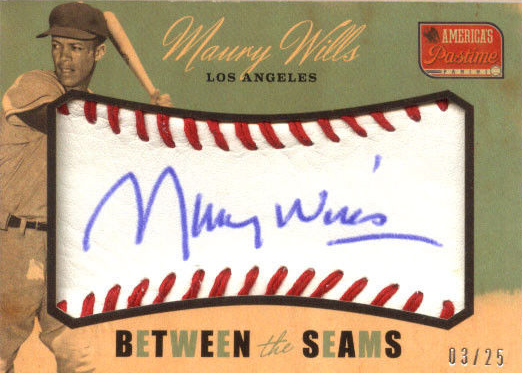 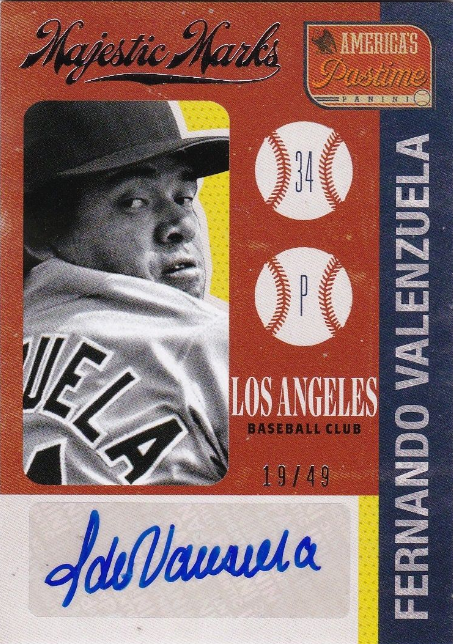 According to a checklist, there is also a Ralph Branca (# to 3) and a Fernando Valenzuela (# to 1) autographed "Between the Seams" cards. 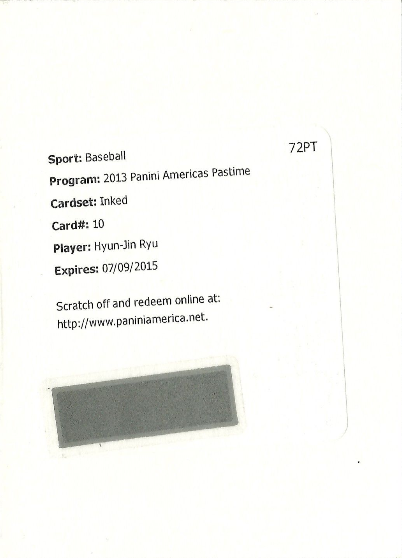 Unfortunately, a photo of either is not available yet.